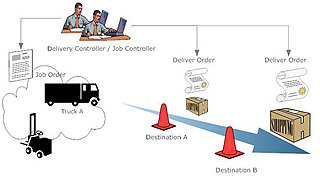 GPS Tracking System can make transportation and products distribution business cut cost significantly in long term. Abzolute Tracking bring you real-time, reliable and user friendly functionality into your hand with reasonable price. Boost up your efficiency today, return on your investment double tomorrow. To develop an open infrastructure for GPS real-time tracking equipment for any vendors in market today and also in the future. Users are able to use different tracking equipments from different vendors together using only one account running on the same server. © 2011 Abzolute Techno One Co.,Ltd. All rights reserved.